Please indulge me for a minute while I get sappy. It’s my prerogative, after all, to get sappy when my BABY TURNS ONE! This is ridiculous. He can’t be one! I still only half-believe that I have a baby at all. 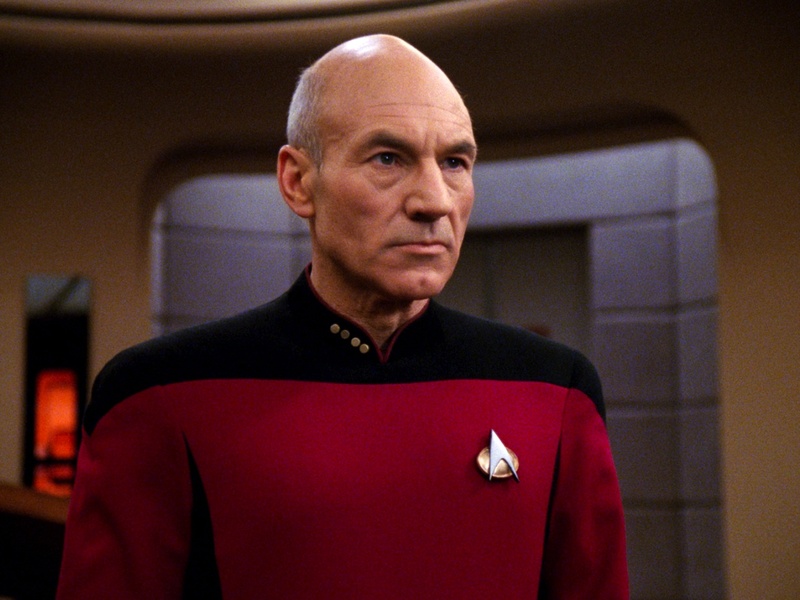 It seems like yesterday he was just a tiny little nugget, wearing his tiny Captain Picard sweater. But he grew (and is still growing) so fast, he barely fit into it a month after he was born. (Pro Tip: never actually make the “newborn” size for babies. They fit for about fifteen minutes.) He put up with my ridiculous knitwear designs and questionable color choices. (Although, to be fair, I put this sweater on him the other day, and while it’s still not the best sweater I’ve ever made, it’s much less ridiculous now that it kind of fits.) He posed for Christmas pictures with my Arne and Carlos Christmas balls (which he was a big fan of). And look at that poofy hair! I miss that hair. It’s gotten too long to stand up on its own now. He got over his dislike of hats (most of the time). He’ll even happily wear his hat if it means going out to our favorite diner for pancakes. He wore the heck out of this adorable little fair isle sweater while he learned to crawl. It’s a little small on him now- it’s hard getting it over his GIGANTIC HEAD, but it fits well enough once it’s on, so I only break it out when we’re both in the mood for a wrestling match. And now he’s ready to go on adventures! (Ollie is less than enthused about adventures. He’d rather be comfy at home .) 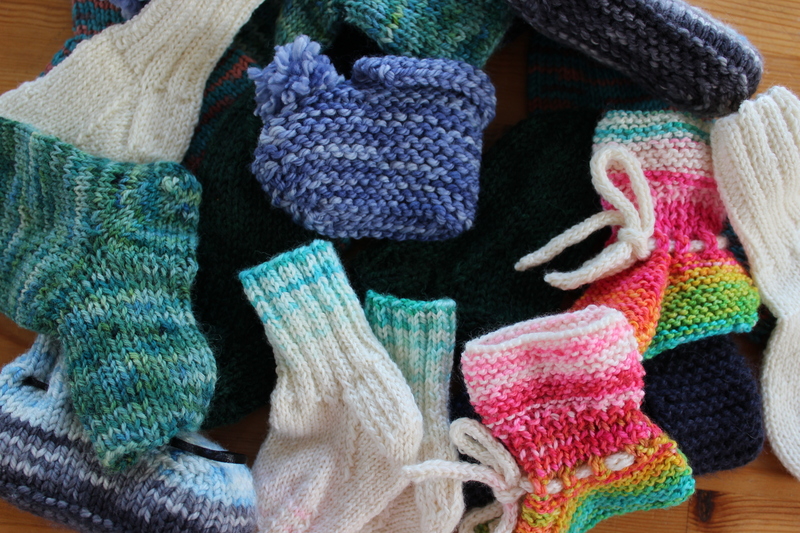 It’s been a crazy year of knitting (and not knitting). The boy is definitely cutting into my knitting-and-blogging time, but I don’t mind (most of the time). I can’t believe we’re already a year in! It seems like just yesterday I was wrestling him into his first sweater. 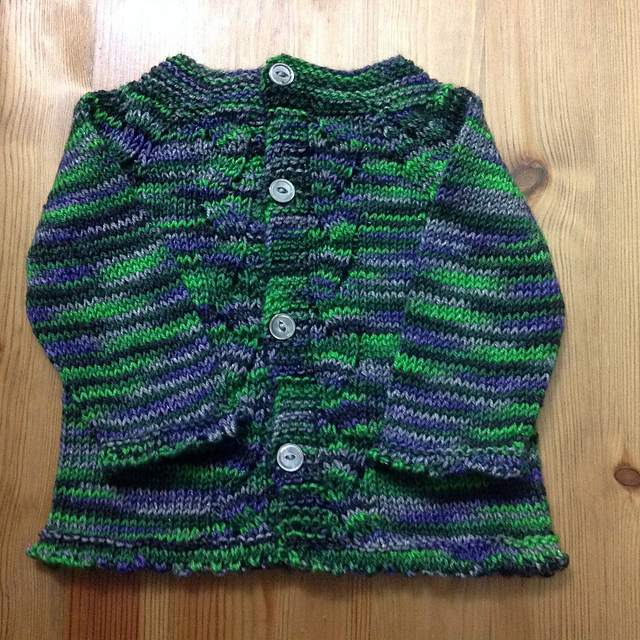 This entry was posted in About the Blog and tagged 1 year old, baby, baby sweater, FYI, knitting, knitting for babies, my baby on April 15, 2019 by onemilljellybeans. I finished my baby Fair Isle sweater! 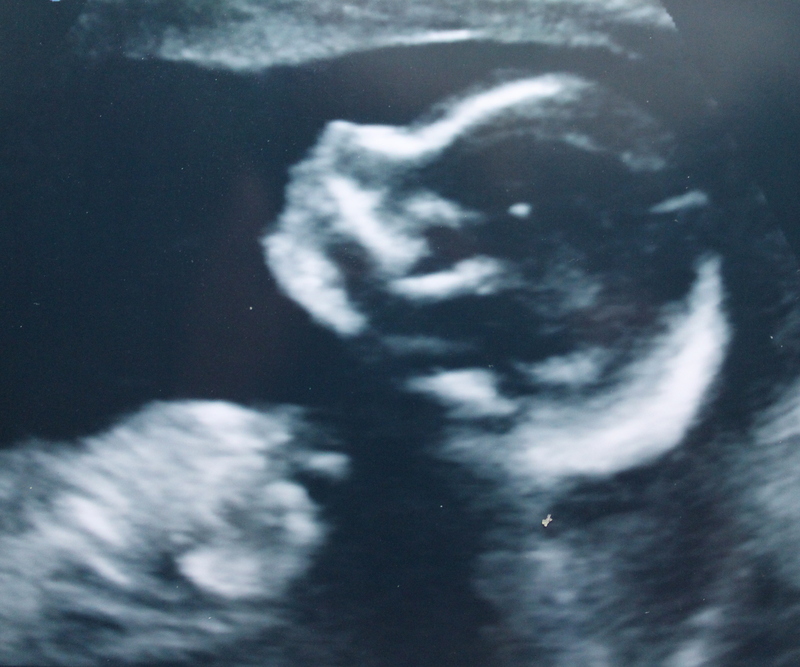 And just in time, too, because my baby’s giant head is already threatening to outgrow the neck hole. 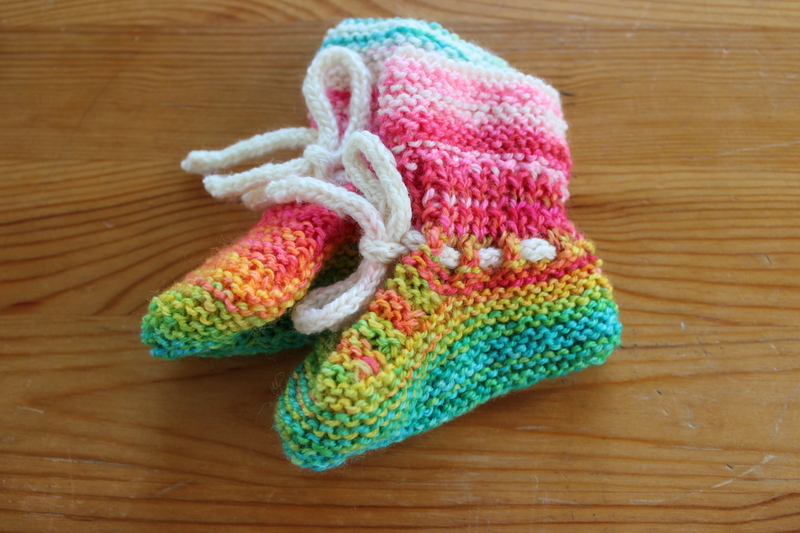 But, I suppose that’s most of the challenge with knitting for babies- getting the project done before they outgrow it. Anyway, pictures! 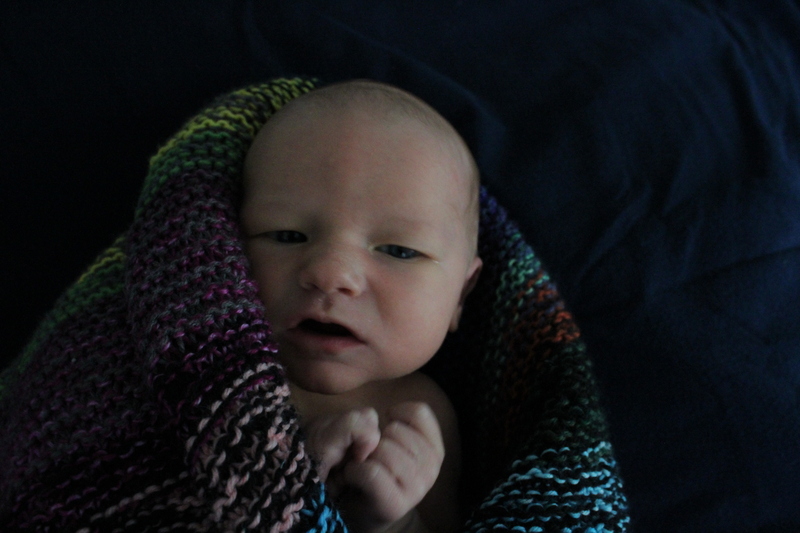 Here he is, beginning what I’m sure will be an illustrious career in knitwear modeling. (He looks a little grumpy because he just got up from his nap and I immediately shoved his head through this slightly-too-tight neck hole.) Otherwise, this sweater fits pretty well. It’s even got some growing room lengthwise in the arms and the body. Perfect! I love the way my speckled, variegated and hand-dyed yarns all play off each other, making the yoke look more complicated than it was. And, of course, I love the colors. I think they look especially pretty with the boy’s bright blue eyes and adorable pink cheeks. (But I think most things look especially adorable on him.) 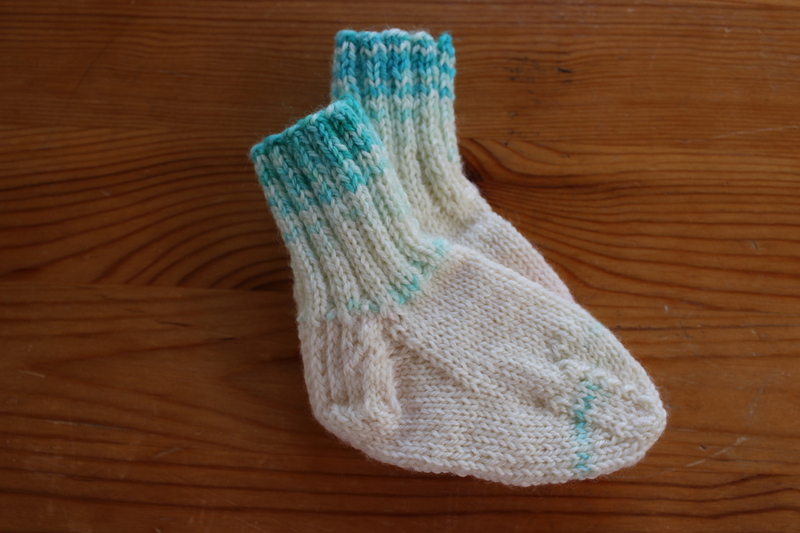 Have you done any knitting for kids lately? How did it go? Did you manage to finish while the kid still fit in it? This entry was posted in On My Needles and tagged baby, baby sweater, christmas in july, christmas in july sweater, fair isle, finished, finished object, knitting, pullover, sweater, yoke, yoked pullover, yoked sweater on November 26, 2018 by onemilljellybeans. So, have you been up to anything exciting lately? Cool! Oh, me? Not that much. Just hanging out with this dude. Everybody! Say hi to my son! He’s pretty much the best. He’s a huge, healthy, and hungry baby boy, born on April 14th. He was just over 9 pounds at birth, and surprisingly tall and skinny- over 20″ (he takes after his dad’s family in his body type, but his face looks just like the babies in my family). He’s a big fan of staying up all night, drinking lots of milk, and riding in the baby carrier when his dad and I go for walks. Unfortunately, he doesn’t seem to be a big fan of hats and is currently too small for the sweaters I’ve made for him, so his appreciation of knitwear is a bit limited so far. Though, he does like his garter stitch blanket, especially on car rides. I’ve still got a bunch of posts in the chamber, ready to go. 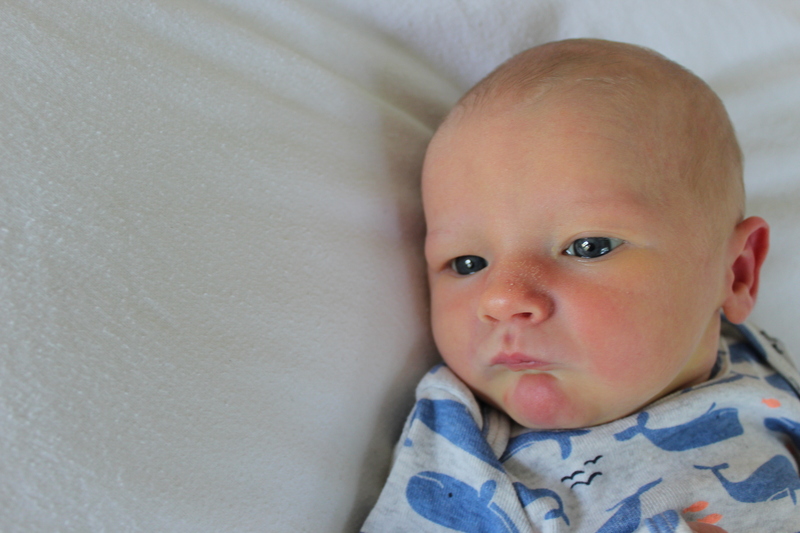 So, you’ll still be hearing from me “from the past” for the next couple months, but I wanted to stop in and give you an update while I recuperate and the boy learns that nighttime is for sleeping. Maybe in a few weeks, I’ll manage to find some time to get a little knitting done, too. Who knows- miracles can happen! This entry was posted in About the Blog and tagged baby, baby boy, hiatus, new baby on April 30, 2018 by onemilljellybeans. Speaking of finishing off projects, I am really on a roll lately. I’m still knitting on my Papaya sweater like a fiend, but I took a break yesterday to update the last little finishing touch on my Mini-Picard Sweater. 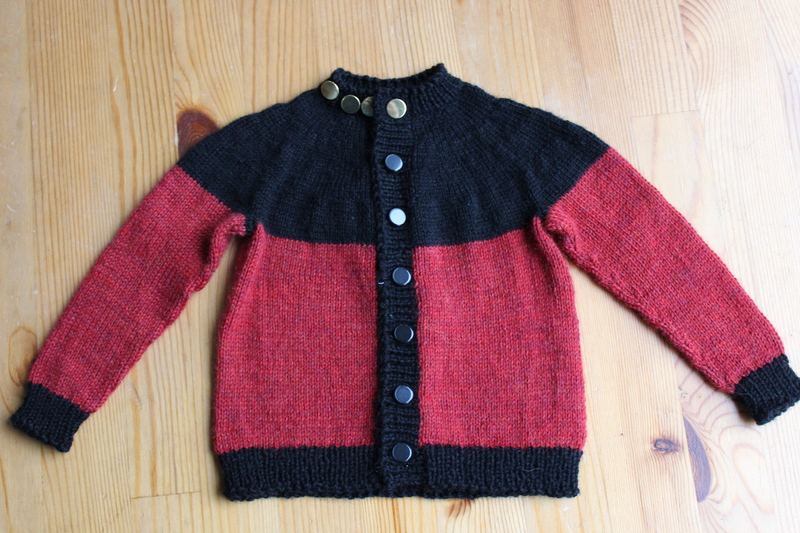 In case you forgot, I made a teeny little cardigan, inspired by my favorite Starfleet Captain, Jean-Luc Picard. I broke out the red and black sock yarn and teensy little needles. 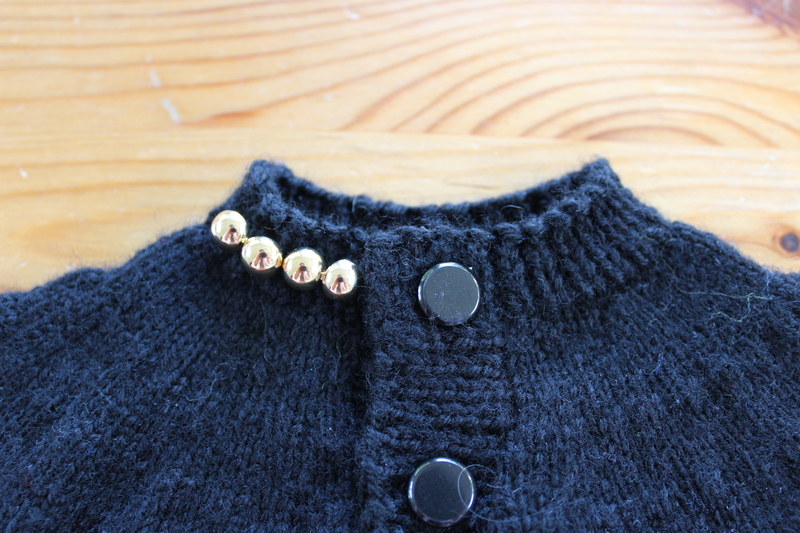 I knit the whole thing up, blocked it and added buttons, and a row of little gold Captain’s pips on the collar. But the gold buttons I had bought were too big! They looked awkward and funky. 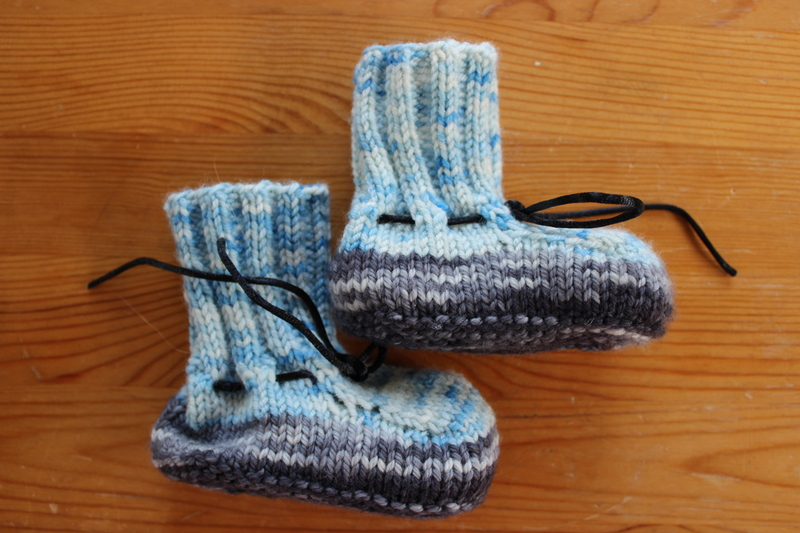 They were only a quarter inch across, but they were too much for such a teeny sweater! So, I took another trip to JoAnn’s this weekend and picked up the teensiest gold buttons I could find. And, voila! Perfection! Or at least close enough to perfect that I’m super happy with how they turned out! 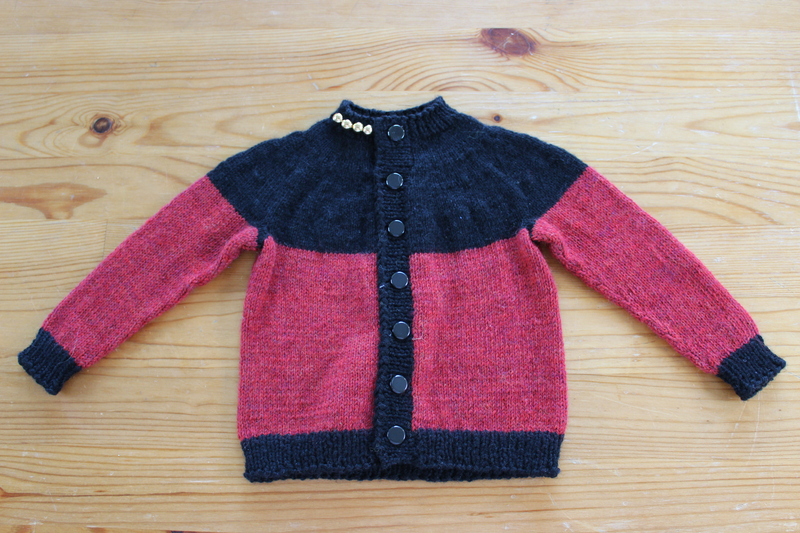 Now my little sweater is fit for a tiny captain, and I couldn’t be more pleased! Have you ever made a small change that has completely changed your opinion of a finished object? This entry was posted in On My Needles and tagged baby, baby sweater, cardigan, finished, knitting, picard, starfleet, sweater on March 12, 2018 by onemilljellybeans. I’ve been working on a super secret project for quite a while now. It’s a huge project, and it’s been taking up a lot of my time and attention. And, frankly it’s going to be taking even more of my time and attention going forward. I began this project this summer, and it just seems to be growing and growing on me. I assume it’ll stop growing at some point, but for the foreseeable future, it’s just going to get bigger and bigger and more and more complicated. 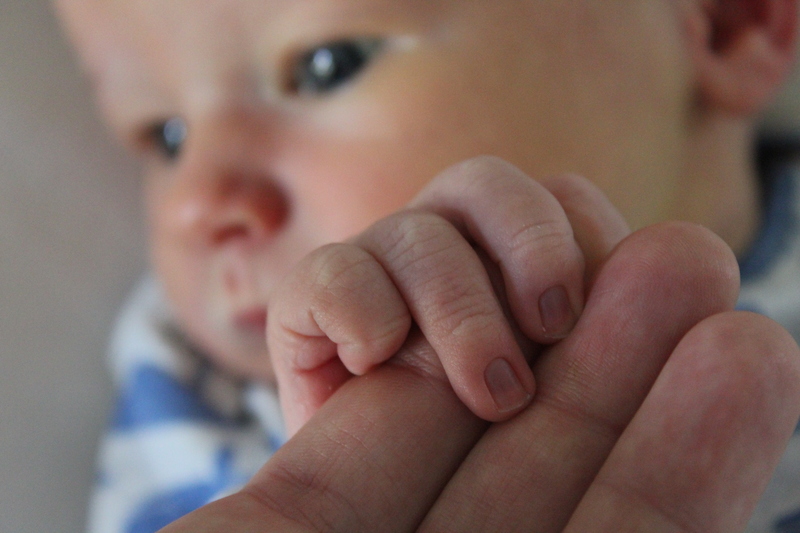 In short, the project I’m working on is… a baby! There he is! He doesn’t have a name yet, and isn’t due to be born until the beginning of April, but he’s very much making his presence known (I’m afraid of stretching out all my sweaters, so I’m down to cardigans only), and has currently wedged himself uncomfortably up in my rib cage. So what does this little dude mean for the blog? Don’t worry, this isn’t going to turn into a “Mommy blog,” or an “All About Babies” blog, or anything like that (though I can’t promise that I’ll never mention the kid). I’ll still be talking yarn and knitting, and I’ll still be designing patterns, though maybe not as frequently (I’ve been told that babies need a lot of attention). For now, nothing will change in the blog schedule, but over the next couple months, I’m planning on scaling back a bit. Monday-Wednesday-Friday posts are a lot of work. I’ll keep the 3-days a week through mid-February (and my 5-year blog anniversary! ), then I’ll be scaling back to twice a week (so I can get to work on a little bit of a backlog, which will let me take a bit of maternity leave). Then, when the baby’s born, I’m planning on going down to once a week (at least until I get my sea legs). I’ll still be here, just not as much. 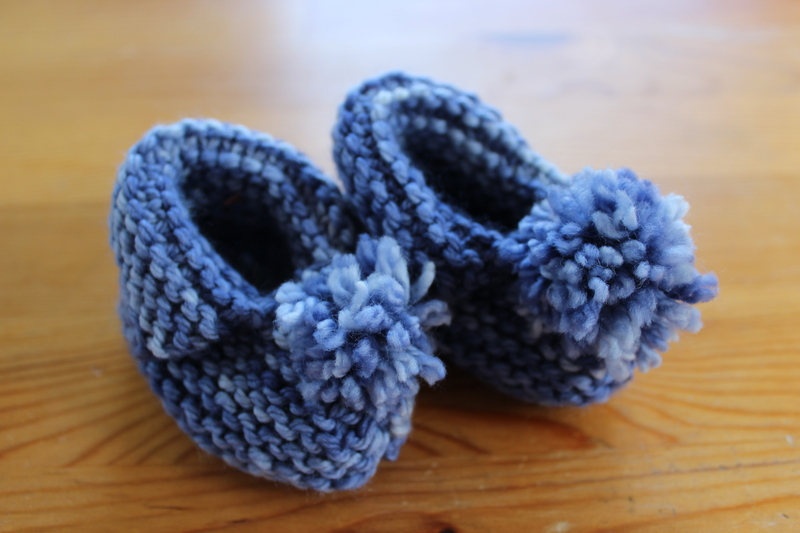 This entry was posted in About the Blog and tagged baby, baby announcement, baby sweater on January 26, 2018 by onemilljellybeans. I’ve been busy, you guys! Not doing anything terribly productive, really, and certainly not working on anything that I have a deadline for (whoops!). But, I have been busy, knitting away. Remember the red and black sock yarn I found in my stash last week? Well, I just had to get knitting with it. I considered a couple projects- Trek-flavored socks. A cowl or maybe a hat that Captain Picard would be proud of. But, really, I couldn’t help myself. I just had to make a Jean-Luc Picard baby sweater. I couldn’t help myself! The yarn was too perfect! 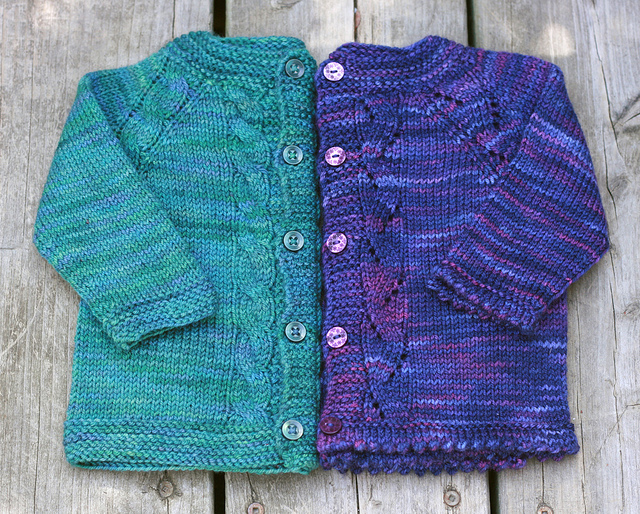 I broke out my copy of Knits for Everybody Two, and cast on a tiny (3-month-sized) cardigan. I thought about coming up with a new pattern for this sweater, but figured, hey, I’ve already done all the math, why make it harder on myself? It is turning out super-tiny, though. I accidentally started using US1s, instead of US2s, and didn’t realize my mistake until I was past the point of no return. I mean, look! I’m using a safety pin to hold the unused sleeve stitches! I think it’s ok that it’s tiny, though. After all, babies are pretty small. Or, worst case scenario, it could become a sweater for a doll. This entry was posted in On My Needles and tagged baby, baby cardigan, baby sweater, captain, captain picard, cardigan, star trek, sweater on January 24, 2018 by onemilljellybeans. It’s done! And I gotta say, it’s really satisfying to make a whole sweater in about a week (OK, maybe it was two, but I was dawdling). 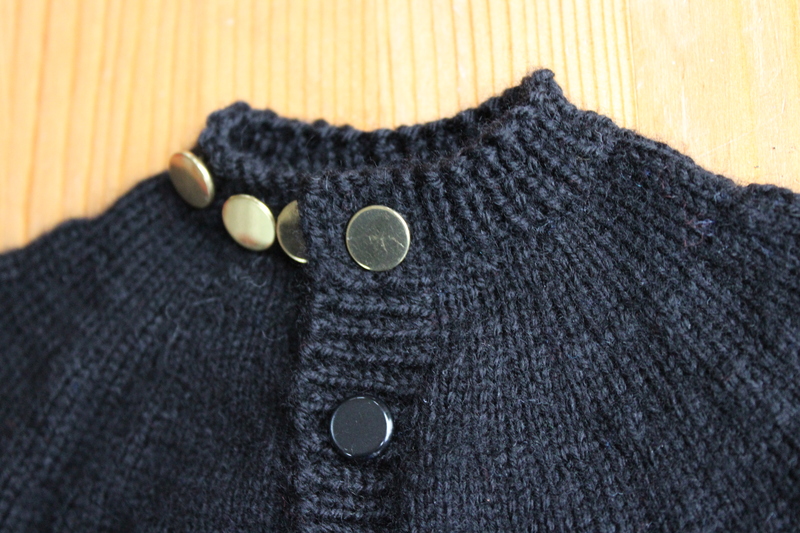 I love the little wooden buttons (that I found in my button stash!) 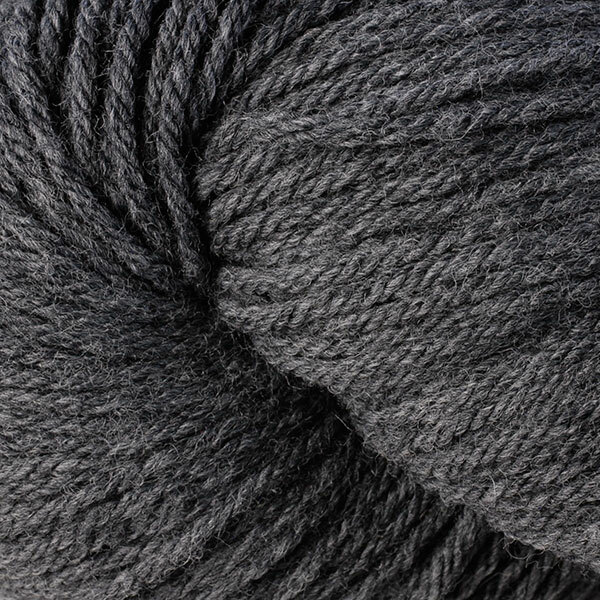 and the Berroco Vintage is so stinking soft and cozy. I love the little-old-man collar and the cute little raglan shoulders. I even love the fact that it the sweater has one green cuff. 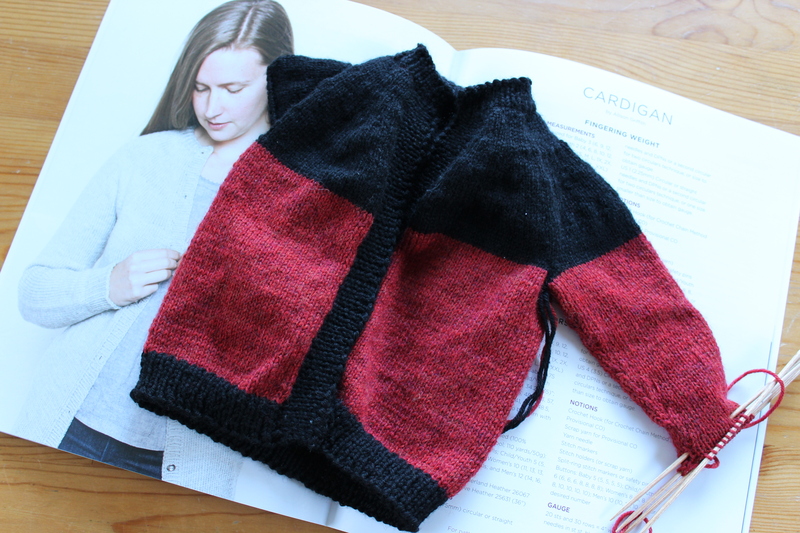 I ran out of gray at the last minute, and while I could have ripped back the sweater and taken some of the length off of the bottom of the sweater (it did turn out a little long… I think… how big are babies, again? ), but I wanted to keep this project as quick and easy as possible. So, I just grabbed a little green Vintage I’ve had stashed away. It ended up being perfect! I wish grown-up sweaters worked up as fast as ones for babies! Have you done any fun, quick projects lately? 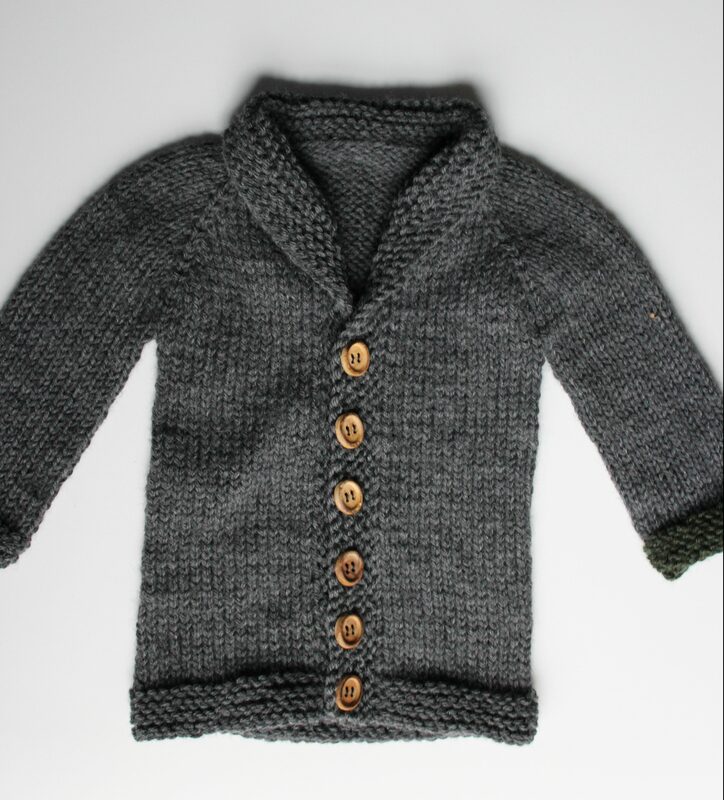 This entry was posted in On My Needles and tagged baby, baby clothes, baby sophisticate, baby sweater, cardigan, sweater on December 1, 2017 by onemilljellybeans. OK, so I didn’t quite behave myself, like I promised myself I was going to. I haven’t spent the weekend powering through my Papaya Sweater. And I didn’t finish off any of my other hibernating projects, either. But, I also didn’t go to the yarn store (though I was sorely tempted). So we’ll call it a win. I did decide to start a new project. Something small, quick, satisfying and fun. Something that would get my knitting juices flowing again. And something that I could make entirely from my stash. There’s one project that I can think of that fits those requirements. Baby Sweaters are fun and complex, just like a grown-up sweater, but they’re tiny enough that I can get one finished pretty quickly. Plus, since it’s small, it was a good bet that I have enough spare yarn laying around that I could just pick up a skein and get to work. And, wouldn’t you know it!? I found a perfect, unopened skein of Berroco Vintage (in Peppercorn) that was left over from a sweater I made for my father-in-law last year. 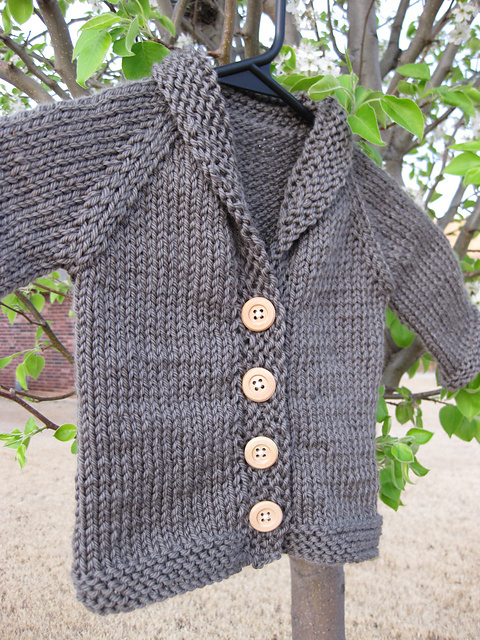 It’s machine washable, soft and super tough- perfect for a baby sweater. Then I just had to figure out which sweater I should make. My usual “I’m bored with my knitting so I think I’ll make a baby sweater” sweater is Elizabeth Zimmerman’s Baby Surprise Jacket, but that usually looks better with thinner yarn. (Pro tip: If you have a handful of leftover balls of sock yarn, you can make a really cute, easy striped sweater using the BSJ pattern. I’ve probably made a dozen of them over the years.) 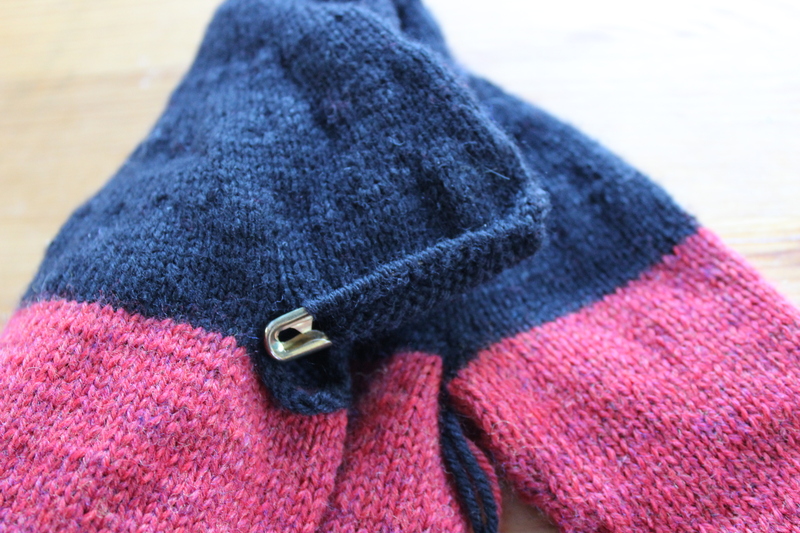 My Berroco Vintage is a lovely squishy worsted, though, so I decided to do something else. 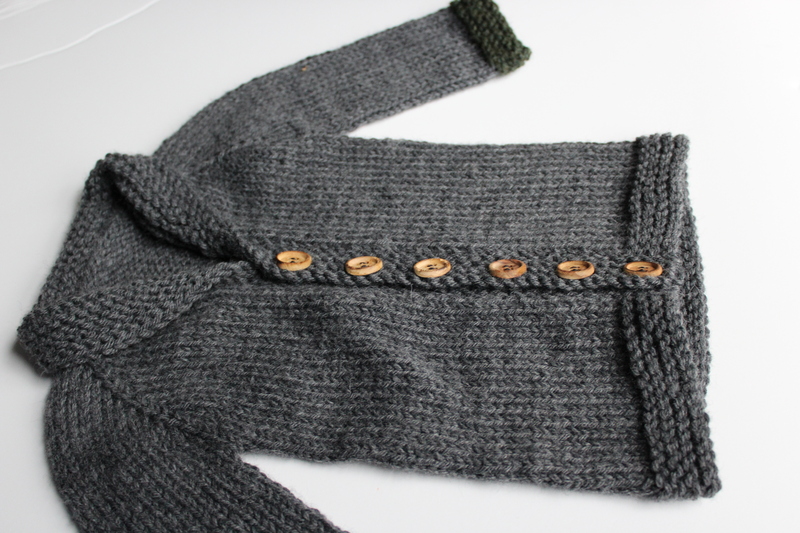 This entry was posted in On My Needles and tagged baby, baby sophisticate, baby sweater, berroco, berroco vintage, cardigan, sweater on November 20, 2017 by onemilljellybeans.